Deva means “body of light” in Sanskrit. A consciousness which organizes, structures, transmits and holds the archetype. A â€œthought formâ€� through which an object is materialized into physicality. The consciousness of a place or thing. We can communicate with and assist the Devas through conscious acts of co-creation. Deva is the root for the word Divine. 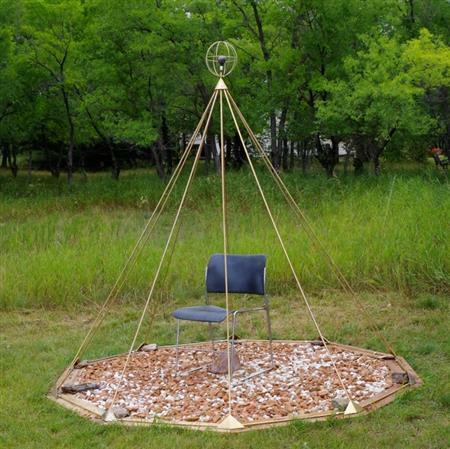 On site is a Ten sided Gold Plated Pyramid large enough to sit in and enjoy the uplifting energy.